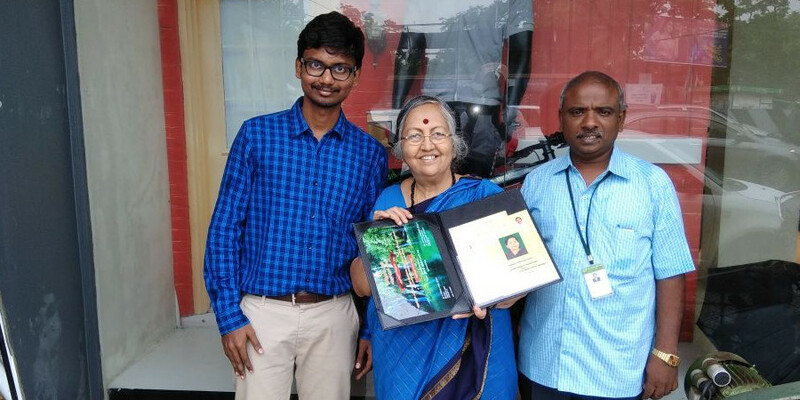 Friend In Need Trust was awarded Second Prize by the Ministry of Environment, Government of Tamil Nadu, in the Tamil Nadu Environment Awards for NGOs, on the 7th of November 2017, as an outstanding organization in the field of Environmental Education, Awareness, Protection and Management. Dr. Shyama V Ramani was recognized as one of the #100 Women Achievers of India in 2016 in the category of ‘Hygiene and Sanitation’, as part of a contest organised by the Indian Ministry of Women and Child Development in partnership with Facebook. Award received from the President of India, Shri Pranab Mukherjee. Dr. Shyama V Ramani was recognized as one of the laureates of the“Terre de Femmes” Trophy by the Yves-Rocher Foundation and the Institut de France in March, 2008 for her work at Friend in Need. Dr. Shyama V Ramani was Honoured among 100 Indian Women Achievers at the ‘The Women’s Forum’, October 2008, Deauville, France.